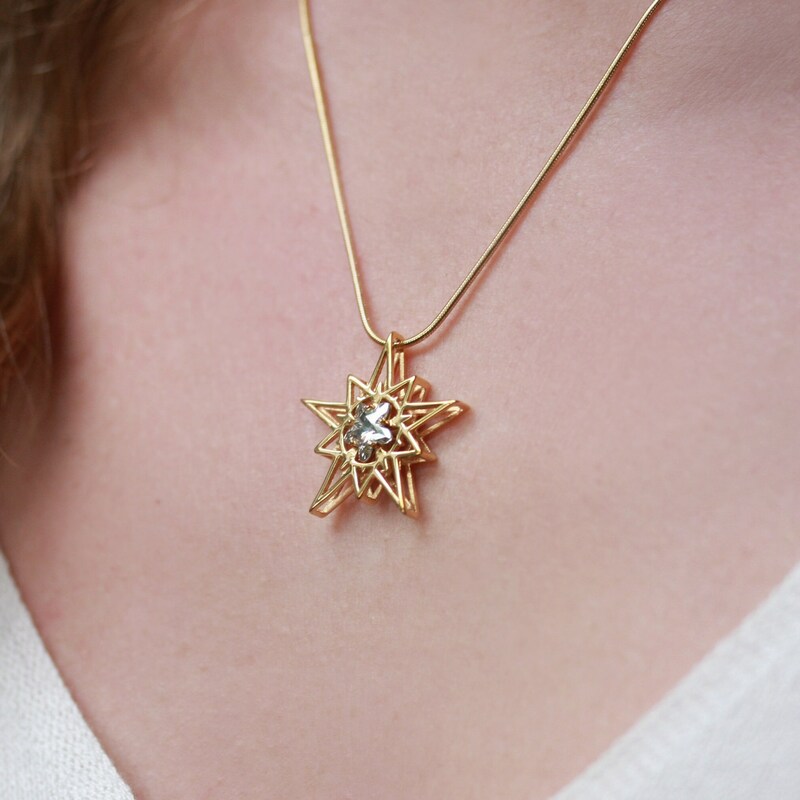 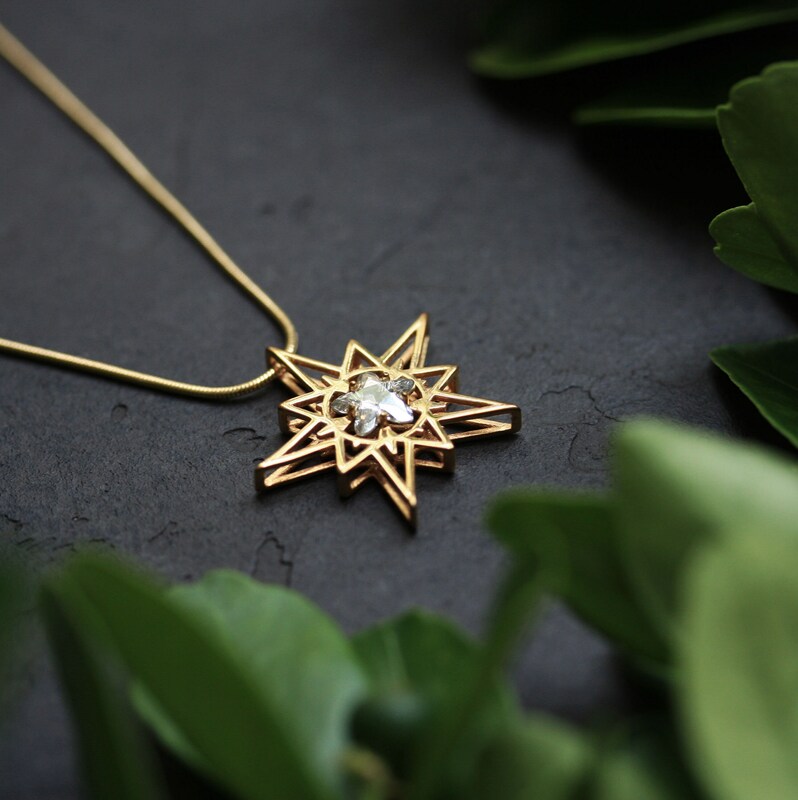 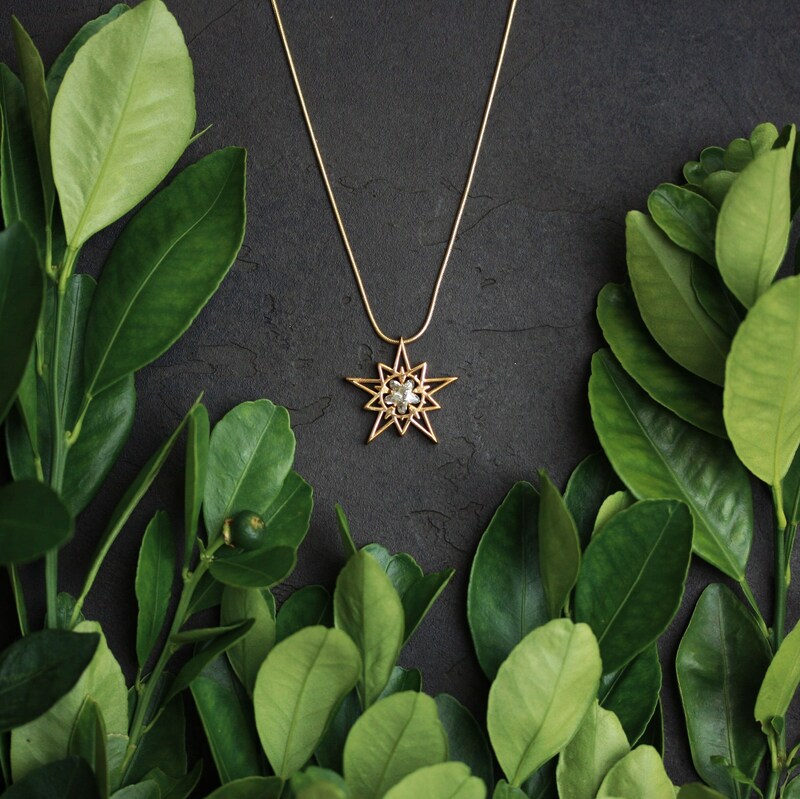 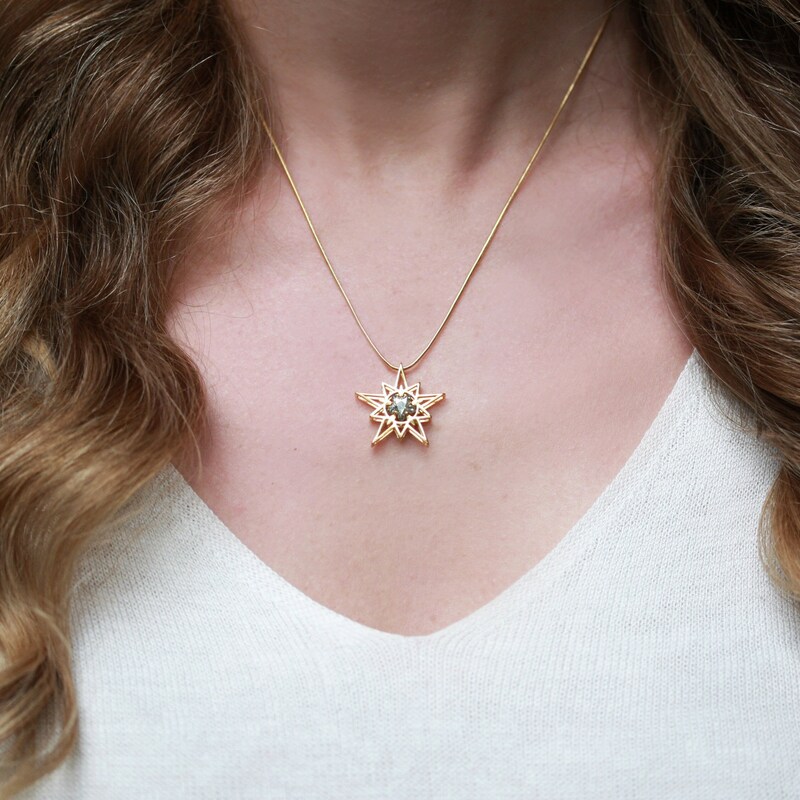 This 3D printed Star pendant finished with the Swarovski crystal has two sides and can be worn in two different ways. 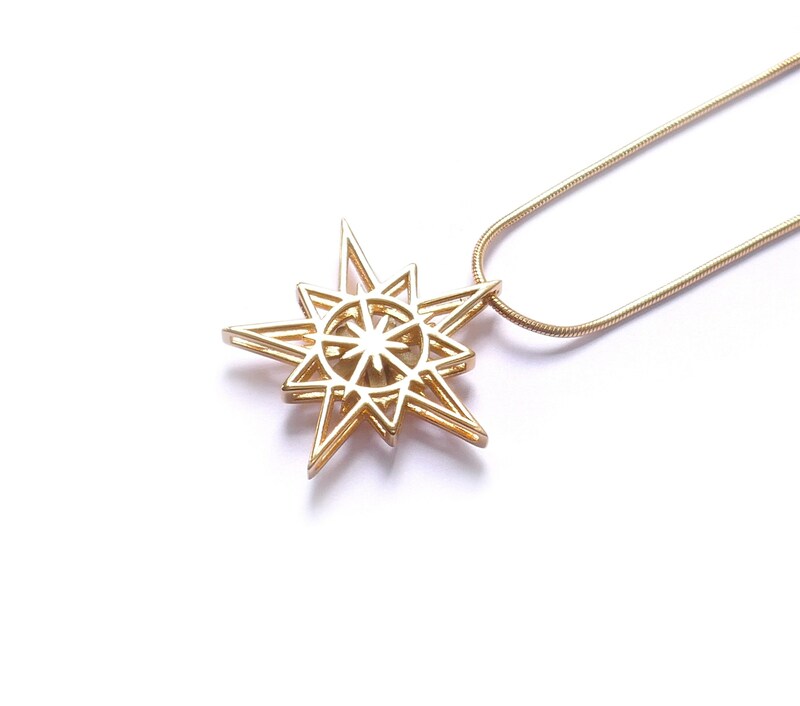 It is printed in brass and plated with 18K gold. 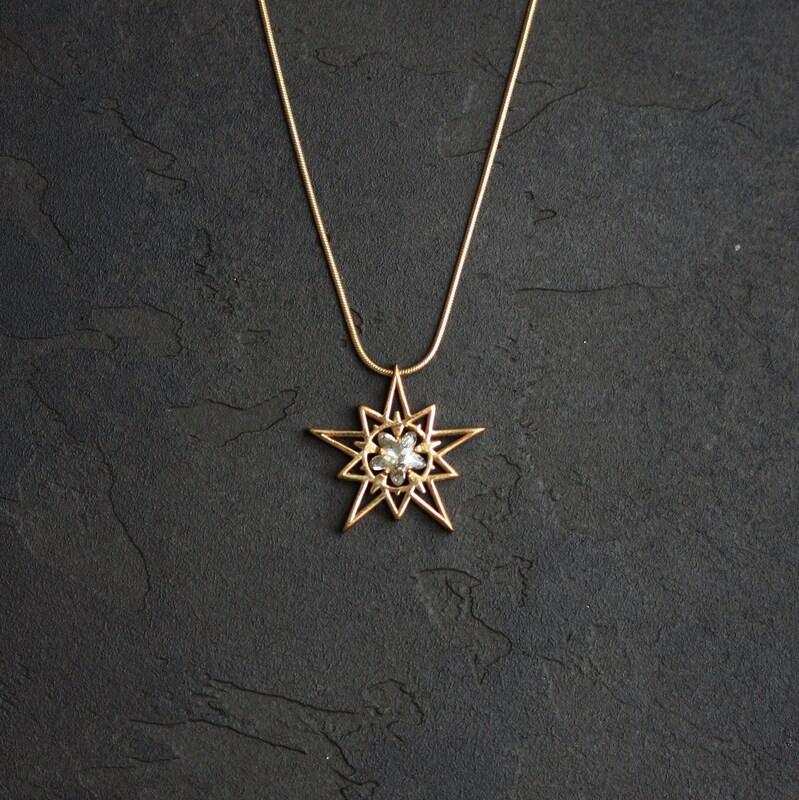 Please keep in mind that each piece is made to order and will take 2 week to carefully craft it for you.